Nico Hischier made history for his country at the 2017 NHL Draft. Chosen first overall by the New Jersey Devils, he became the highest drafted Swiss player ever. In a year in which three in five players selected were from North America, another European player had an even greater breakthrough. 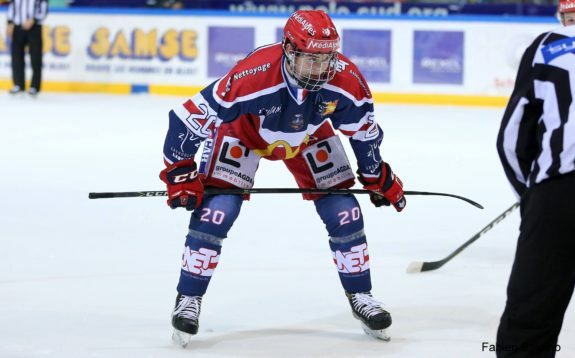 Selected 45th by the Columbus Blue Jackets, Alexandre Texier of Grenoble Bruleurs de Loups in the French Ligue Magnus, became the first ever player to be drafted from the French hockey leagues. He is only the fourth French-born player selected in NHL Draft history. At first glance, Texier isn’t an off-the-wall pick. Described by the Draft Analyst as a “lightning quick” and “dynamic offensive talent,” the 6’0,” 182 lbs Frenchman fits the bill as your textbook attacking sparkplug. He is the sort of player that franchises take risks on in the early rounds of the draft every year. But Texier bucks the trend because of his development. Having spent his entire career in the French system, his trajectory ignores the rule that Western European players have to leave their domestic systems after Midget Level to excel. 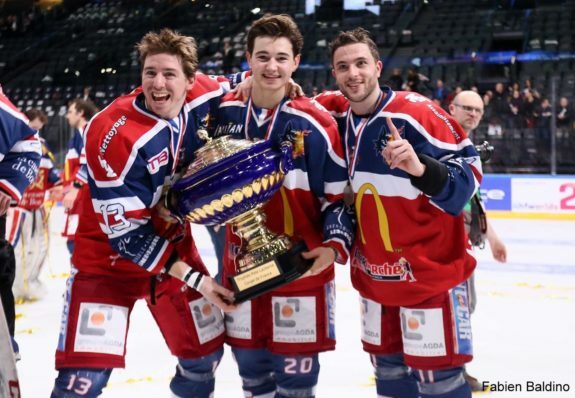 Across the region, the standard of hockey is improving, and Texier’s selection from the French Ligue Magnus is the latest demonstration of this trend. Western Europe is emerging as a legitimate hockey market. The Ligue Magnus has existed for 111 years but failed to produce a single NHL prospect until Texier. His emergence cannot be dismissed as a freak though. In fact, playing standards in Western Europe have been improving steadily for some time. The development of European leagues follows a common path, focused initially on acquiring experienced foreign talent. In this sense, Switzerland is the blueprint. 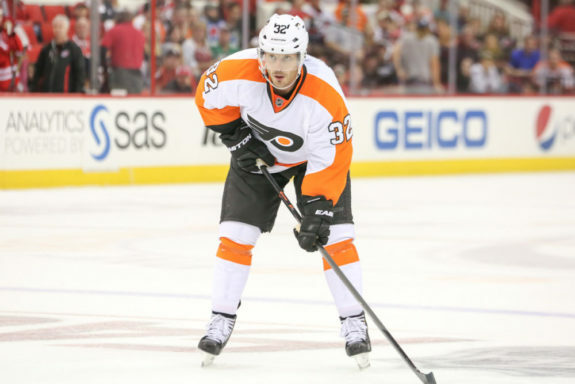 The NLA has been a solid source of prospect recruitment since 2000; Pittsburgh Penguins defenseman Mark Streit is a good example. But were it not for the arrival of skilled veterans, including Mats Naslund, in the late-1980s and 1990s, it is unlikely that hockey would have fired the imagination of young Swiss sportsmen. Migrating star performers not only draw crowds, they also draw scouts and infrastructure too, giving more opportunities for potential NHL players to get noticed. Tellingly, the first Swiss player that played 200 games in the NHL was Hnat Dominchelli, drafted in 1994. Now, Swiss players are regularly going in the first round of the draft. Spurred by the success of the Swiss model, other European leagues are following suit. Since the millennium, French hockey has been dominated by Canadians, the most recent being former Anaheim Duck Jason Krog and Eric Chouinard, a first-round pick of the Montreal Canadiens in 1998. The German DEL meanwhile, has been attracting North American talent for a long time. Former Washington Capital Keith Aucoin is a star performer, netting 49 in 52 for EHC München last season. Recruiting veteran talent is now common across Western Europe – with former NHL and AHL players performing prolifically against less-experienced opposition. But the uneven combination of homegrown pros and foreign acquisitions creates a unique environment for prospects to develop too. With a lack of structured youth leagues and the relative weakness of the top division, talented under-18s are fast-tracked straight into adult play. Playing against experienced seniors forces quick development, and Western European prospects are often praised for their maturity. Regular ice time in a men’s’ league decreases points totals, but is a useful way of predicting if a prospect’s play can adapt to the highest level. For teenaged players, the chance to develop with this type of competition is an attractive opportunity, regardless of their pedigree. Take Auston Matthews as an example, who elected to develop his game in the Swiss top-flight in his draft-eligible year. If prospects such as Matthews begin to land in Western Europe more often, interest will come with them. However, the next stage for many of these countries is to regularly produce promising players within their own systems. Hischier for example, like many European players, used the CHL Import Draft to leave his native country at 17. In this regard, 2018 looks to be an exciting year. Sheffield-born Liam Kirk scored 45 points in 38 games in the second tier of British hockey at 17-years-old. He will spend his draft-eligible season in the EIHL, and could see his named called in the late rounds. If so, Kirk would be the first English player drafted since 1975, and the second selection ever from British domestic leagues. Germany, a more consistent prospect-producing nation, could also have a good 2018. Dominik Bokk (71p 41gp), and Bastian Eckl (41p 34gp) spearhead a talented crop of youth players that will hope to break through next season. For Germany, and to a lesser extent Switzerland, the key will be to use current NHL stars to raise the profile of the sport at home. 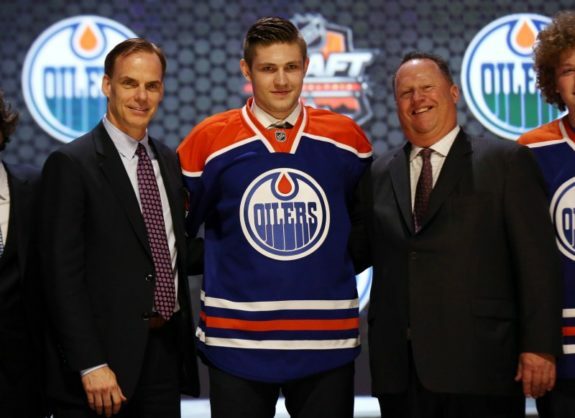 Leon Draisaitl, drafted in 2014, felt he had to leave Germany to develop. However, now he aims to “be the guy that makes younger guys in Germany play hockey.” Thanks to Draisaitl’s initiative and to hosting the IIHF Championship in 2017, Germany seems to be finally taking notice. Now, it’s important for the nation to demonstrate players can consistently reach draft potential in their home system. If one of Bokk or Eckl are selected in 2018, this would be a step in the right direction. Make no mistake, hockey in a nation like Britain is far behind the standard of the NHL and the KHL. Pavel Vorbyrev, playing for the Edinburgh Capitals, puts it bluntly in an interview translated on this site. When asked whether he thought a British player could make the KHL, he replied no with certainty. Moreover, it is likely Texier will move on soon. Baie-Comeau Drakkar hold his rights via the CHL Import Draft. Yet, the tide is changing, and talent is beginning to emerge. Since 2013, The Netherlands, Belgium and now France have all seen players chosen at the NHL Draft. Western Europe is an up-and-coming hockey market, and players like Texier are the trailblazers.